Data-driven research isn't usually done just for its own sake. Nor is it done at random. Researchers work with data on a specific topic in hopes of attaining a concrete objective that involves a particular audience. They achieve their goals by creating a presentation of their analysis in order to engage with their chosen audience. This section of the Handbook is about presentation and engagement. The first step in presenting your work is to think about framing: to get clear about your work's topic, objective, and audience. If you've come this far, you probably have a pretty clear idea of the topic of your work. But it is still worthwhile to think about the different ways of defining your work's subject and to make your intended topic totally explicit. After working with your data and analysis for a long time, what it "means" may seem very obvious—but remember that it won't necessarily be clear to a newcomer. Identify your goal (e.g. a general overview of some area, a tested hypothesis, or a particular journalistic scoop) and make it transparent in your work. 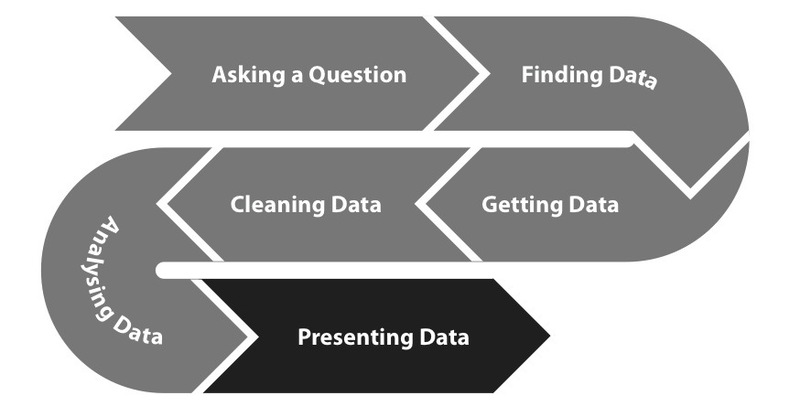 Being clear about your topic means resisting the temptation to represent your data or analysis in their full complexity. If you don't focus in on the key point of your work and hide irrelevant detail, people will not understand the point that you are making or, even worse, will ignore you. If you want to give your audience the freedom to reach their own conclusions, provide your data and methodology as a supplement to your presentation. Besides a topic, your project also needs an objective: a concrete outcome that releasing the work will achieve. If the topic of your work is the "what? ", the objective is the "so what?". Ask yourself: is your research just intended to inform the public about some aspect of government budgeting or spending practices? Are you making a specific case to the government by proposing a new policy which you have gathered evidence and developed arguments for? Why did you do your research? Your project's objective can determine the form of your final presentation. If your project is meant to serve as a forum for discussion, for example, you will have to create some means of maintaining ongoing engagement. An example of such an objective is the goal to establish a network-based, collaborative effort like Linked Gov, a platform that allows the public and civil servants to access government financial data and do small tasks to clean it. Attaining your project's outcome depends heavily on defining and understanding your audience. You must adapt your style of presentation to your audience's technical capabilities and choose the medium that will engage them most effectively. Is the purpose of your project to stimulate discussion among the general public? Thanks to social media and Internet-based direct communication, many organizations can now contact and directly involve the public. The next chapter in this section provides advice on and examples of this kind of online outreach, and the third chapter in this section is an extended case study in the use of social media. If your main audience is the general public, simplicity is a must. The vast majority of people must be able to get a handle on what you are trying to communicate. You may need to emphasise a visual presentation of your data. 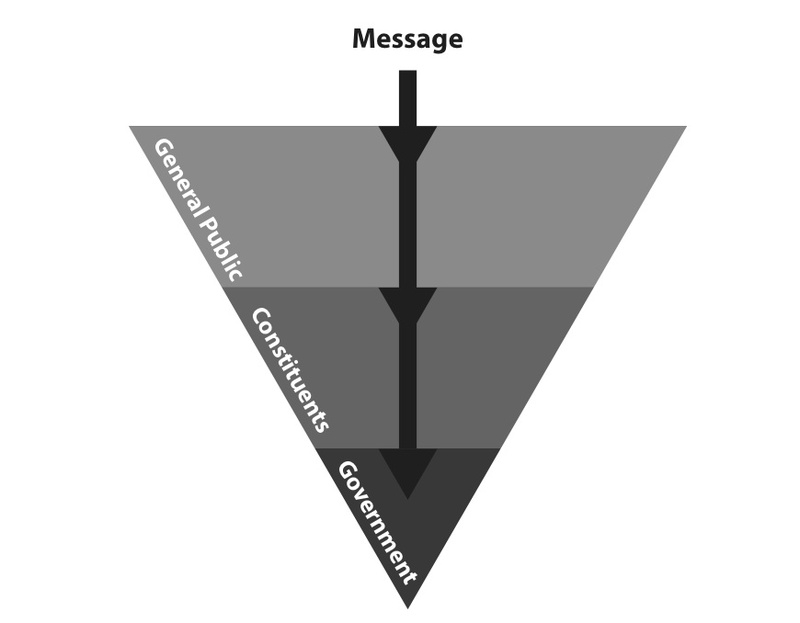 Unlike direct channels, communicating with the public through broadcast and print media requires you to first convince an intermediary of the relevance and quality of your message. The media is often the best channel to use when trying to create social pressure on governments to deal with some budget issue. Communication with the media often takes place in the form of a press release. A convincing press release will be simple and to the point and will either have some connection to the news cycle or be such a strong story that it's able to create news by itself. Your audience may be people and organizations with which you have previously cooperated or who are active in your research's domain. Unlike the wider public, they are more likely to be interested not just in your conclusions but also in the data and tools that you have used to reach your conclusions. Creating an open space for your community to discuss your work is essential in getting relevant feedback. When you need to reach your constituency, it may be necessary to provide your work's broader context in the form of a full report including methodology, conclusions, and possible paths of further discussion. Since they are in the position of actually deciding and implementing changes in spending policy, government officials are often the target audience for research using spending data. Government officials can be reached through public pressure and the media, but you may also choose to contact the government directly. In this case, a balance of the approaches discussed above is very important. Meetings with government officials are rare and short-lived. Condense your main argument and supporting evidence into one page or less, and include a clear action that you want them to take.